Romance movies are made about people exactly like Mallory and Justin. You’ve heard it before - country boy meets city girl and suddenly both of their lives are turned inside out and upside down. Mallory told me about the first time they met in person after chatting online for awhile. Justin had rolled up rocking some cowboy boots in his lifted, doors-free jeep like the true country man he is. Mallory had NO idea what to think of it but decided to just go for it! They went out to Buttonwood Park in New Bedford, Massachusetts where they talked for hours and hours and hours and hours. Despite the different lifestyles between them, they found a million things in common and Mallory agreed to a second date. A second date in which Justin drove her a mile down a dirt road for a movie night at his house. (I laughed SO hard hearing about this.) Against all odds, Justin still hit it off. And they got a third date. And a hundred more. If any lesson is taught from this, always shamelessly be yourself when dating. Needless to say, not a single one of these instances phased Mallory and a few years later, Justin joined Mallory on a trip to Orchard Beach in Maine for a family party. This place is so incredibly meaningful to Mallory, with so many summers spent there and so many memories created there. Justin decided it was the most perfect opportunity to propose, forever creating the absolute best memory of the place for Mallory. 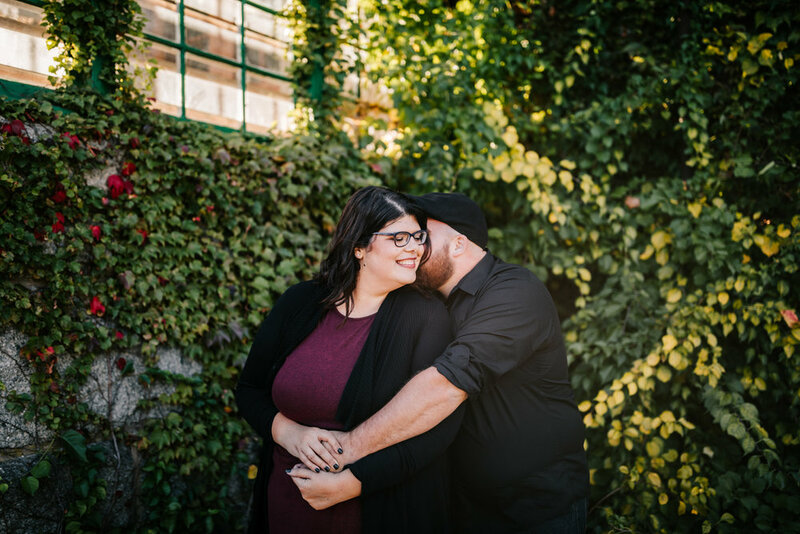 Their engagement session took place at Justin’s work! He works as an arborist for Quittacas Water Treatment Plant in East Freetown, Massachusetts. You wouldn’t think that sounds like the prettiest place ever but that’s a damn lie. 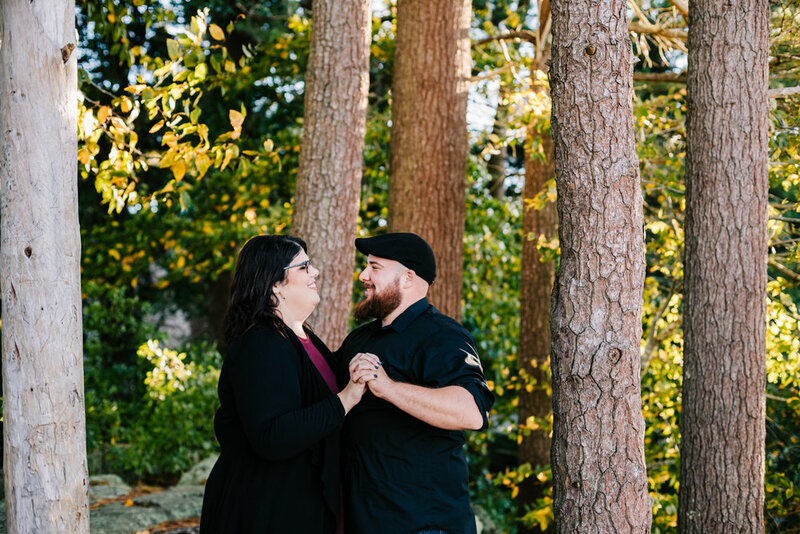 This place had the most gorgeous, massive trees, streams, lakes, and the most perfect light. This is exactly why I have my couples choose their own locations - they pick something meaningful and usually SO delightfully surprising. I’m SO excited to have the opportunity to work with these two. 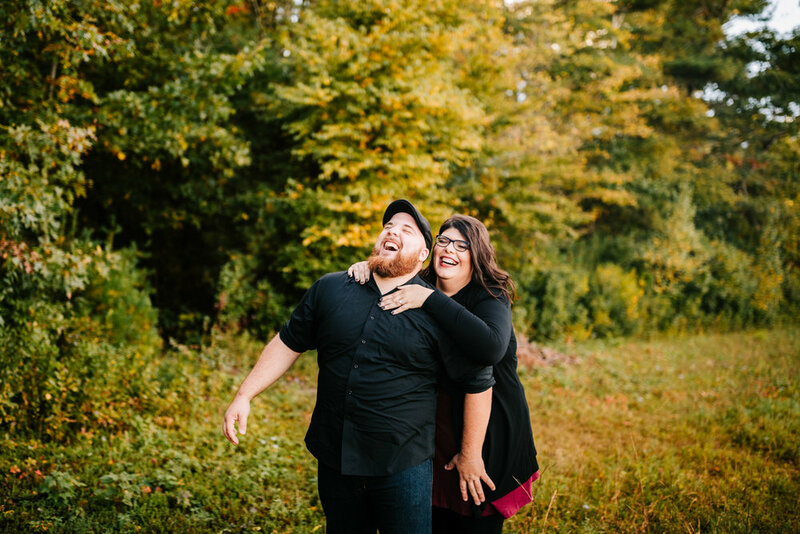 They’re the absolute sweetest and I cannot WAAAAIT for their wedding in September this year!